Manchester United captain Nemanja Vidic has conceding that his side title hopes have faded away following their defeat against Chelsea this afternoon. League leaders Arsenal are now 14 points ahead of United, the defender believe the gap is big for the Red Devils to close. “We are too far behind and we have now to focus on the top three or four. “We have to be positive, today we didn’t play a bad game. They had three shots and scored three goals and that’s the difference in the game, we have been punished for every mistake we made. United have struggled recently in terms of performances and victories, they have found themselves wanting on many occasions and have not being playing like a team who won the Premier League last season. David Moyes taking over from Alex Ferguson hasn’t gone quite according to plan, they seem to lack the cutting edge they had last season. Nemanja Vidic has defended the manager and simply believes that the players are not playing good enough, he refused to blame David Moyes. The Serbian defender was disappointed by the decision that led to him being sent off after a foul on Chelsea’s Eden Hazard, this means that Vidic will now miss the game again Sunderland in the Captial One Cup semi-final on Wednesday. The Serbian defender was upset by the decision to send him off for a foul on Eden Hazard late in the game at Stamford Bridge. 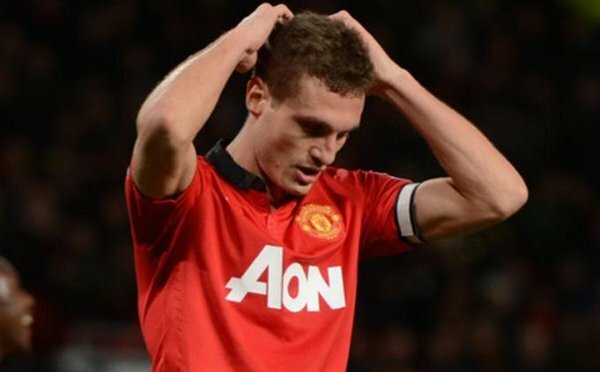 The red card means Vidic is ruled out of Wednesday’s Capital One Cup semi-final second leg against Sunderland. “My feeling is that it was very harsh because I went for the ball. Hazard we know is a sharp player and he just pushed the ball,” he added.